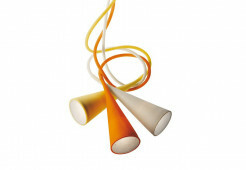 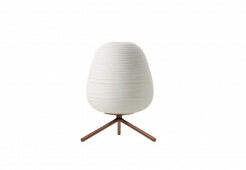 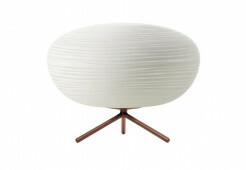 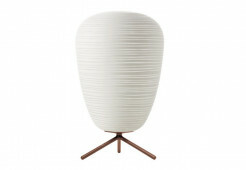 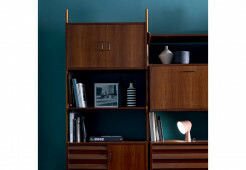 The Foscarini Lumiere XXL is on a three-legged frame and is equipped with a classic lampshade. 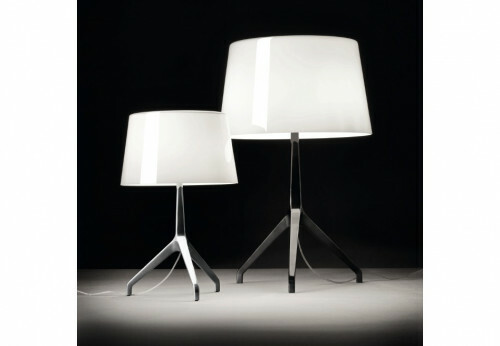 Of the two table lamps, it is the larger. 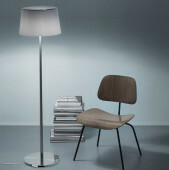 The Foscarini Lumiere XXL is one of the larger table lamps. 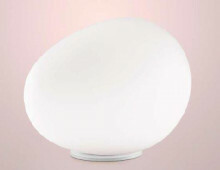 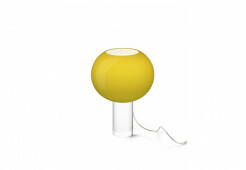 The designer Rodolfo Dordoni 2009 invent with this light the successful Lumiere lights series of 1990 new. 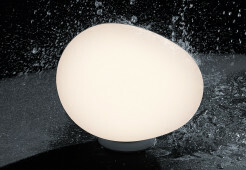 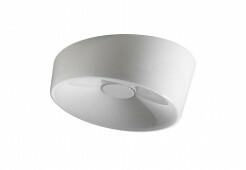 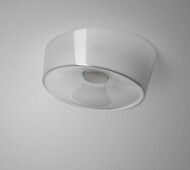 The diffuser of the Lumiere XXL is available from blown glass and available in white and cool grey. 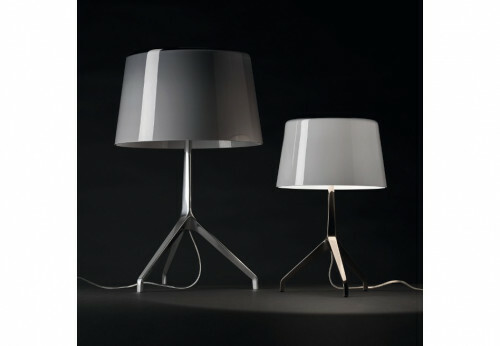 The lamp stand of Lumiere XXL is available in brushed aluminum shiny and chrome black. 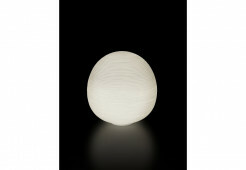 The light intensity of the Foscarini Lumiere light is regulated with a dimmer. 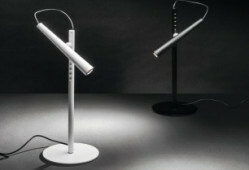 However, the Lumiere XXL is not just an addition to the existing product line, but a stand-alone product, which is characterized by the straight and striking lines.